Transgender woman Phylicia Mitchell, 46, has become the fifth known trans person murdered in 2018. The hairstylist was remembered by her longtime partner, Shane Mitchell, who said the pair had battled through homelessness and drug addiction together, as a loving and kind person. While the couple never married, Phylicia took Shane’s last name, and he said they considered themselves husband and wife, and even had a small dedication ceremony at a local church in May. Mitchell said he thinks the death was drug related. While police have not offered a motive, a police dispatch report says there was known drug activity at her home. The couple met some 30 years ago, after Phylicia ran away from a “dysfunctional” family in Pittsburgh, according to Shane. While some of his friends did not approve of their relationship at first, he said that she won them over with her personality. The two split up shortly before her death, after he tried unsuccessfully to get her to quit doing drugs. But they remained close. “I just want justice for what’s happened, because it hurts,” he said. Earlier this month, Tonya Harvey, 35, was shot and killed in Buffalo and Celine Walker, 36, was shot and killed in Jacksonville, Florida. 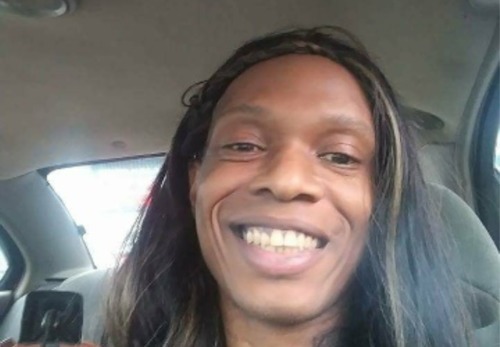 Editor’s note: This article originally incorrectly stated that Mitchell was the fourth transgender person known to have been killed this year in the United States.